Want a free mobile game for your Vita (or other PSM capable device)? Read on! 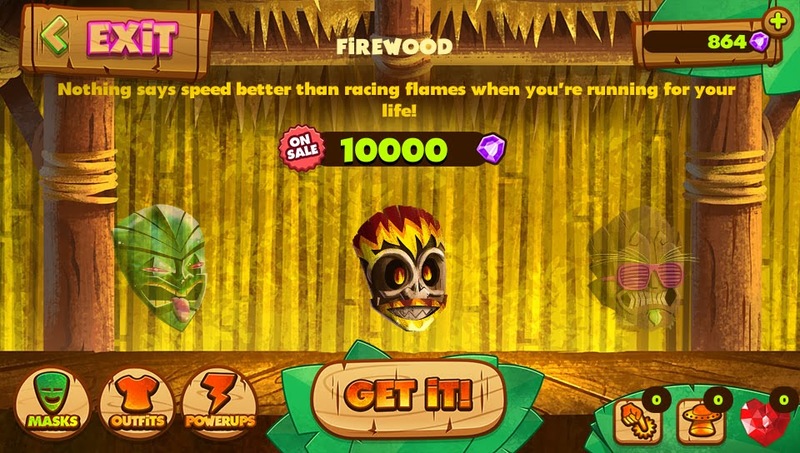 Tiki Rush: Escape From Lava Island is a side-scrolling, endless runner game where you must run, jump, slide and glide to escape from the boiling, red-hot lava thatʼs hot on your trail. You will be challenged to use your jungle skills to avoid obstacles such as fallen branches, rocks, spikes, and fire pits̶ all while collecting jewels and unlocking achievements along the way. This game also features an in-game store allowing you to trade in your jewels for an array of awesome power-ups and funky outfits so that even while you're running for your life, you can at least do it in style! Here's the fun part: In the US and want a crack at a few codes we're giving away? Comment below and by the end of the day on Friday the 31st I'll randomly choose one of yous. I'll be posting a review of this game soon.